All our production steps are designed with quality in mind. Rigorous monitoring is carried out according to specific standards by both the producer and Prograin. Regardless of the delivery method—bulk or bagged—our customers can be sure to receive what they ordered in the right formats and in compliance with the labelling requirements of the Canadian Food Inspection Agency (CFIA). 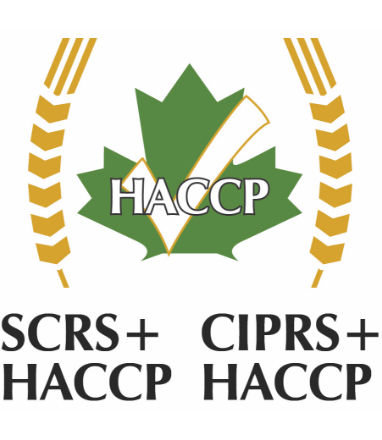 Our HACCP (international food safety standards) certification guarantees the food safety of our soybeans. Certified by the Canadian Identity Preserved Recognition System (CIPRS), we also guarantee the entire production process of identity-preserved soybeans, from the seed grower to our end customers. Prograin documents the complete traceability of all its soybean varieties. Among the most modern in Canada, our range of equipment includes ultra-efficient cleaners, colour sorters, and robots used to palletize small bags. A competent team to provide a product of impeccable quality! All Prograin employees are fully aware that the soybeans they handle are intended for human consumption. The quality and safety of our products are a top priority for all our staff. Our new automated bagging and palletizing system ensures the safety and purity of soybeans intended for human consumption. We are conveniently located (lien vers la page contact) near various port facilities; we can thus easily deliver to any international destination. We offer delivery by road, sea, rail, or air at highly competitive rates. Containers are thoroughly inspected and sealed to guarantee product integrity up to the final destination. Our supplies are offered in multiple formats to accommodate our customers’ needs!